Welcome to Your Member Centre. 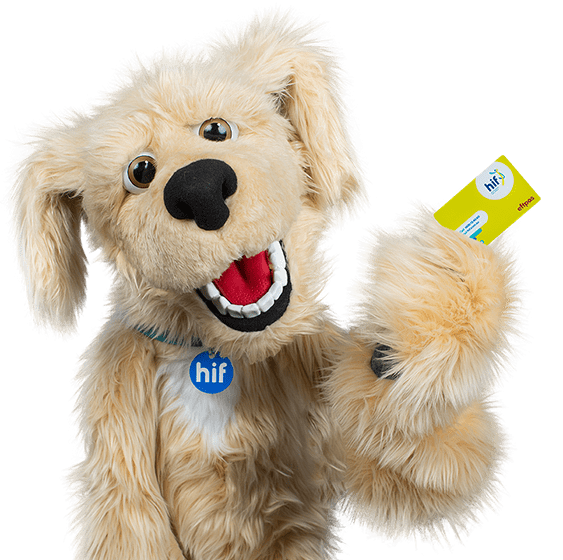 There’s so much more to an HIF membership than low cost health cover. As well as award winning health insurance, our members can access a range of other benefits like gift card rewards, competitions, pet insurance, travel insurance and more. That's why more and more people across Australia are switching to HIF. Manage your membership at a time that suits you. Our online Member Centre gives you access a range of services designed to help you manage your membership with the click of a mouse. Available online 24/7, it allows you to update your personal details, view your claims history, make a payment, update your payment details, add a new member, download tax statements, and much much more. A lot of our new memberships result from word of mouth referrals – happy Members tell their friends about HIF and in turn, they become new happy Members. And because we value member referrals, we'll send you a $70 eftpos card every time you successfully refer a friend (and there's no limit to how many you can earn!) Check out the Member Rewards page to find out more. Every quarter, HIF Members receive a copy of our SmartHealth newsletter, packed full of competitions, recipes, helpful articles and health tips. You can also choose whether you'd like to receive your newsletter by post or email. Top 10 commonly asked questions. Got a query about your membership? Check out the latest Member Q&As below to see if the answer you need is right here (and if it's not, we’re only a phone call or email away). Can I get a rebate estimate before having treatment? Do I need to change my cover now that I'm a Permanent Australian Resident? Do you reward member referrals? How do I access my membership information? How do I add Extras to my Hospital cover? How do I pay my policy contributions? How long can my kids stay on my policy?